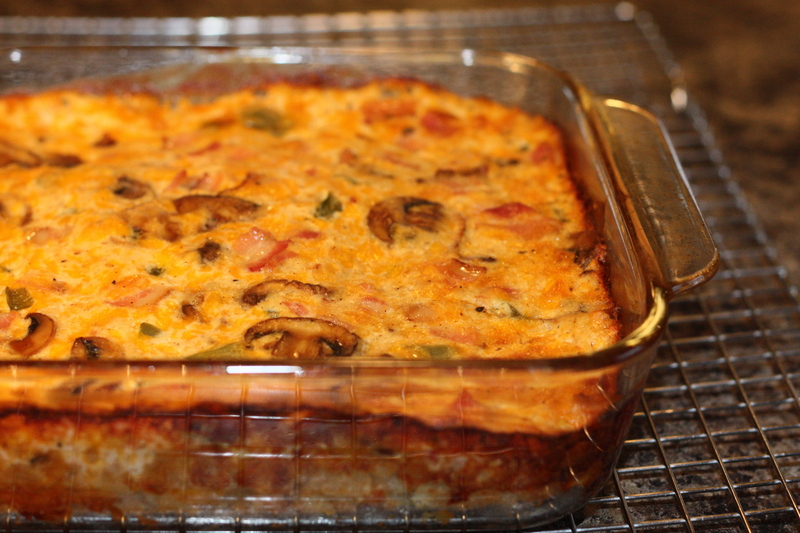 Here is another Quiche recipe using tofu as a base for the recipe. Instead of using a traditional pie crust, I have used hash browns. The kids love them and it’s a lot less work! Pour frozen diced hash browns into an 8 by 8 pan in about a 1 inch layer (approx 2 cups) and Bake 425 degrees for about 20-25 minutes (stir them once or twice). Then add the bacon, mushrooms and peppers and stir. Pour mixture on top of the hot hash browns and return to the oven to bake 45 mins at 350 degrees F.
Note: This would also be delicious with Spinach instead of peppers and Swiss Cheese instead of Cheddar!